The first week of November is always special. Our wedding anniversary is on the 3rd and my birthday is on the 6th. To mark 7 years of marriage and my being dragged further into middle age, we headed South to Cleveland where we were booked to stay for a two night break in the Kings Head Inn in the idyllic sounding Newton Under Roseberry. One of the things that attracted us to this Inn was its proximity to North Yorkshire and in particular Whitby. Ah yes! Whitby is where it all began. It was the venue for B and I’s first proper date, it was where he proposed and where we celebrated our first wedding anniversary. I have only ever been there in winter and I adore it. Bet you are all thinking how romantic that sounds. It does doesn’t it? Now factor in a four-year old and reconsider. After a long ……… very long drive we arrived in Whitby to eat at one of our top haunts, Humble Pie & Mash. 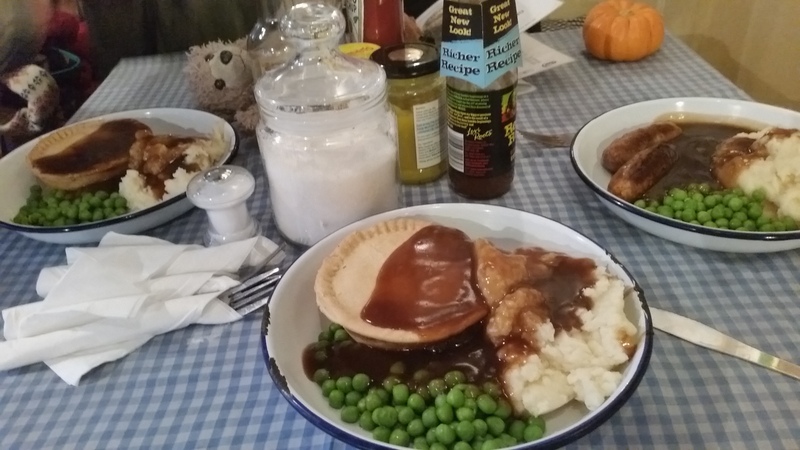 Small but perfect, Humble Pie & Mash is located in a 16th century building and is brimming with vintage knick-knacks and an overall feeling of nostalgia. Music from old blue eyes made me instantly relax. This restaurant sells a variety of wonderful short crust pies, served with the creamiest mash and peas on white and blue ceramic plates. B opted for a traditional mince and onion pie whilst I went for a lamb and rosemary pie. N meanwhile tried hard to do anything but eat her bangers & mash. This meal was comfort with a big fat capital C. It is not licensed but you can get a drink from the pub over the road and bring it across – how cool is that! Humble Pie & Mash is simply one of my favourite places to eat in one of my favourite destinations. After our pilgrimage to the spot of the marriage proposal to the back drop of “I am tired, where is the toy shop” we headed to the cake shop to end all cake shops (almost). 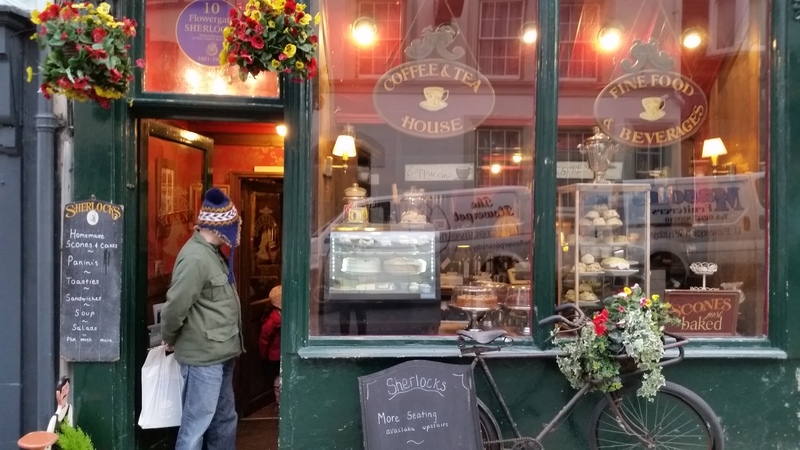 When you enter Sherlocks you are transported to the time of Mr Holmes and his sidekick. The decor is simply superb. It was the perfect place to finish our day in Whitby. The weary travelers headed back to the Kings Head and checked in. We discovered that the family room we thought we had booked was actually a family suite of two bedrooms and one bathroom. I could not have been happier. Anybody who has shared a room with their pre-schooler will appreciate my joy. The Kings Head Inn was originally two 17th century cottages before the Inn collection Group got their hands on it. 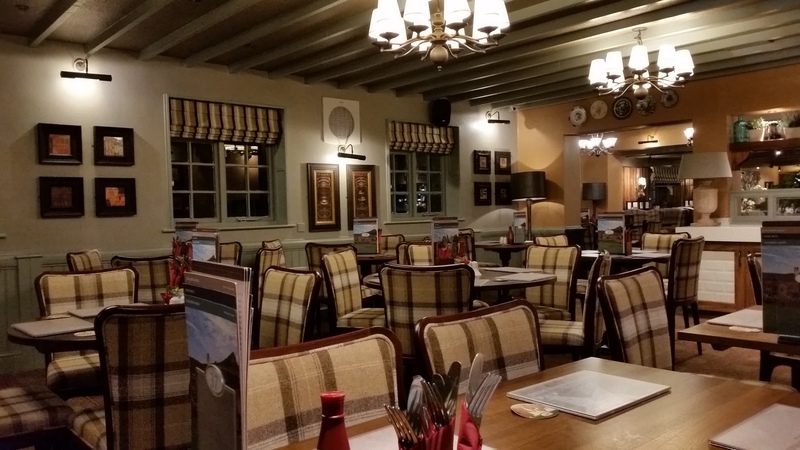 As with their other fabulous Inns, they have managed to create the character of a traditional warm and cosy Inn whilst embracing contemporary design. Outside there is a rather big hill called Roseberry Topping, which I think sounds like something to add to your ice cream. Anyway, this big hill does lend a rather dramatic back drop to the whole affair. Would you like some Roseberry Topping with your banana split? The menu is pretty extensive at the Kings Head and I was tempted by many things, however as I was still struggling to digest cake and pie I went light and smug with an asparagus and roast cherry tomato salad. It was indeed lovely, crisp and light but I couldn’t help but look enviously at B’s potato skins with garlic mayo. I hate when you order potato skins and you are given half a tattie. 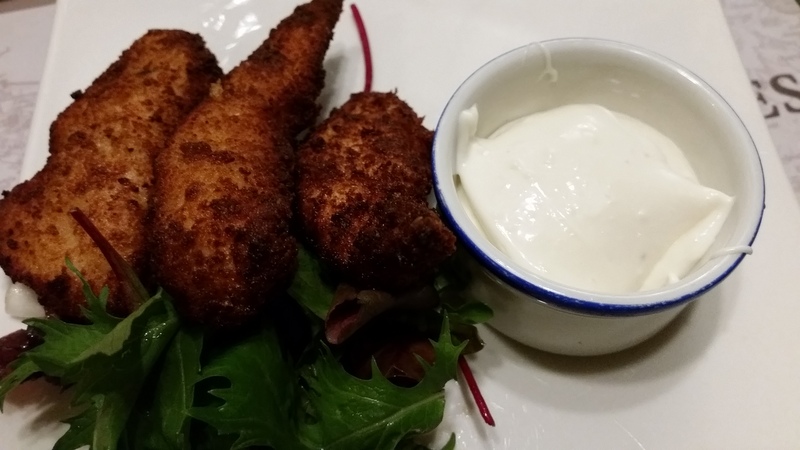 At the Kings Head what you get are actual crispy potato skins which are crunchy and delicious. I did obviously pilfer some from Bs plate, though not as many as I might have liked. The star of the show for me was the main event. 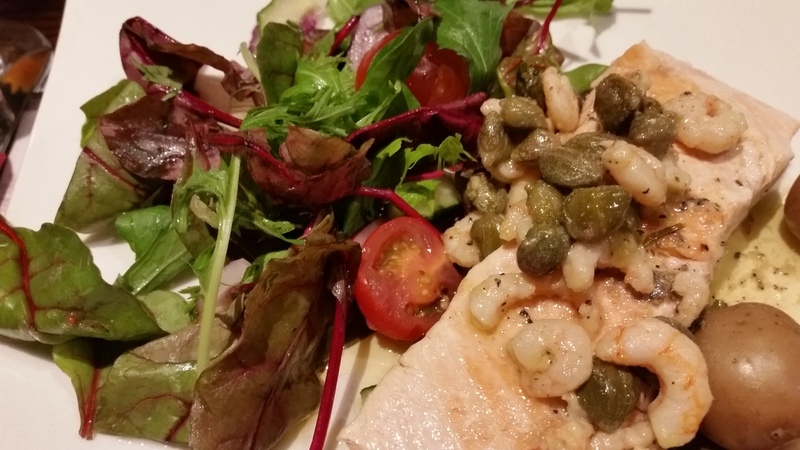 Salmon topped with baby prawns in a caper and lemon butter, served up simply with new potatoes and salad. With something as simple as this it is imperative that the fish is cooked well and this fish was cooked to perfection. The piquant flavour of the capers married wonderfully with the butter and the little prawns were just the icing on this savoury cake. As with my starter I felt smug but I didn’t have eyes for any dish but my own. This is something I am going to try to replicate at home. Tired we trooped to bed armed with wine and gigantic meringues with cream and strawberries. I valiantly managed half before slumbering off to the land of nod. Our second day was spent in York. We whizzed round some tourist attractions, fitted in a bit of shopping and ate at Lucky Days. I have talked about Lucky Days in York before. Click here to read about it in more detail. http://wp.me/p2NKGd-nX . B was not totally convinced by the six salads deal at this popular lunch time stop but the sheer loveliness of the food won him over completely. 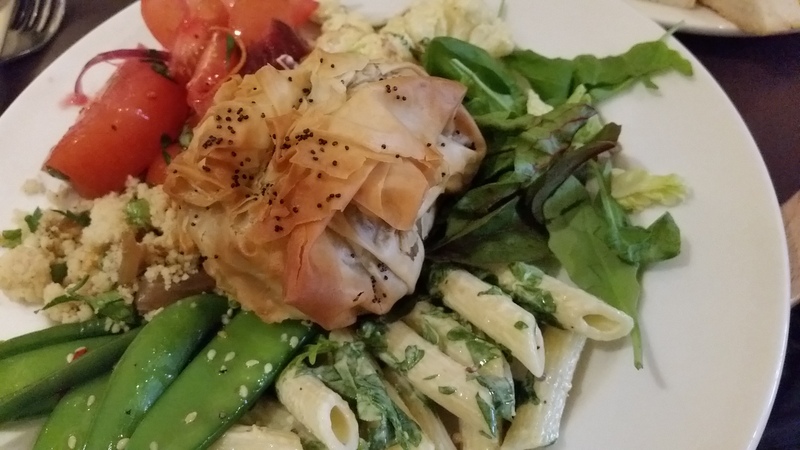 You choose one item from their deli menu and you get six portions of their inventive salads to accompany your choice. I selected a delectable filo pastry parcel filled with roast squash and goats cheese. the salads included a wonderfully aromatic curried cauliflower. B nailed it when he commented that all of the salads were completely unique yet none of them overpowered the others. It is a completely balanced mix of flavours on one plate. Very clever. Back at base it was time for another three course meal. By this time I could feel my waistline expanding and was thanking my lucky stars for packing my skinny jeans which have an elasticated waist. I was a bit dubious about this purchase but sod it – it was a saving grace by the end of this weekend. There was no smugness involved in the choices for the final meal. 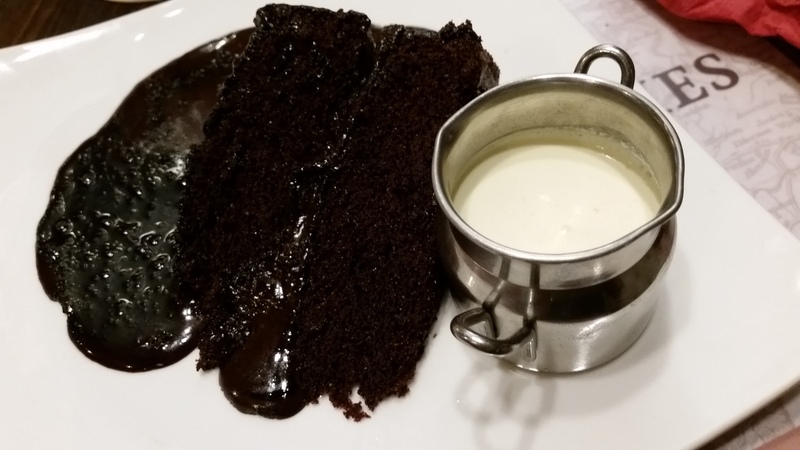 Fried chicken with a mayo dip followed by a great big massive hunk of pork belly complete with black pudding and then the darkest naughtiest hot chocolate fudge cake floating in a moat of cream. 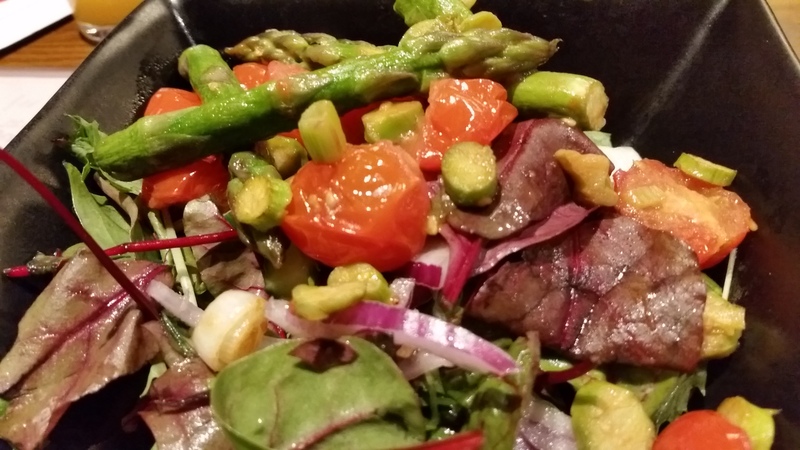 I would note that it is pretty easy to eat healthily at the Kings Head and they are one of the very few restaurants I have come across who offer sorbet and fresh fruit as a dessert option. Sadly I did not go down that healthful route and ended up rolling around in a state somewhere between insane happiness and abject guilt. A fantastic weekend was had by all and the food was simply splendiferous. I have returned a few pounds heavier but delighted with our fantastic weekend. PS. I am itching to get back to where it all began sometime soon. Categories: Uncategorized | Tags: Kings Head Inn, Whitby | Permalink.